A siddha (Sanskrit: Meaning, "one who is accomplished") refers to perfected spiritual masters who have transcended the ahamkara (ego, or I-maker) and transformed themselves into spiritual beings. Siddhas are described in Hindu, Buddhist, and Tantric texts. They are said to have attained the realization of siddhis (psychic abilities and powers) through their many lifetimes of spiritual practice. Their alleged magical powers are claimed to arise from the efficacy of their spiritual practice. A distinct concept of "siddha" is also found in the religion of Jainism, which posits a cosmology locating siddhaloka (the abode of liberated souls) at the top of the universe in which perfected beings (jinas) go to after death. In Hinduism, it is said that Hanuman possesses the ability to bestow the eight siddhis and the nava nidhi (nine types of wealth). Siddhi is a Sanskrit word that literally means "accomplishment," "attainment," or "success." It is also used as a term for spiritual power (or psychic ability) in Hinduism and Tantric Buddhism. These spiritual powers supposedly vary from relatively simple forms of clairvoyance to being able to levitate, bilocate, become as small as an atom, materialize objects, have access to memories from past lives, and more. There are many perspectives of attaining Siddhis. One school of thought states that they are a normal set of occurrences that should not be focused upon because they will pull one from the path. Other perspectives hold that each siddhi should be pursued because it will allow one to understand the power of the Godhead. Siddhis may occur in many ways: Naturally though the agency of karma, as a result of extended practice (sadhana), through rigorous austerities (tapasya), or by grace. Krishna states that: "For a sage who has conquered his senses, breathing and mind, who is self-controlled and always absorbed in meditation on Me, what mystic perfection could possibly be difficult to achieve?" Seeking siddhi powers is often discouraged and considered to be an impediment to spiritual advancement. Krishnamurti warned about siddhis in the context of meditation, comparing seeking the siddhis of maya to desiring mere candles; he argued instead on should seek the Sun of full Enlightenment and Liberation. Parkaya Pravesha: Parkaya Pravesh means one’s soul entering into the body of some other person. Through this knowledge, even a dead body can be brought to life. Kaadi Vidya: Just as one does not feel hungry or thirsty in Haadi Vidya, similarly in Kaadi Vidya, a person is not affected by change of seasons (that is, by summer, winter, rain, etc.). After accomplishing this Vidya, a person shall not feel cold even if he sits in the snow-laden mountains, and shall not feel hot even if he sits in the fire. Vayu Gaman SiddhiL Through this Siddhi, a person can become capable of flying in the skies and traveling from one place to another in just a few seconds. Madalasa Vidya: On accomplishing this Vidya, a person becomes capable of increasing or decreasing the size of his body according to his wish. Hanuman had miniaturized his body through this Vidya while entering the city of Lanka. Surya Vigyan: This solar science is one of the most significant sciences of ancient India. Using it, it is said that one substance can be transformed into another through the medium of sun rays. In South India, a siddha refers to a being who has achieved a high degree of physical as well as spiritual perfection or enlightenment. The ultimate demonstration of this is that siddhas allegedly attained physical immortality. Thus, siddha, like siddhar or cittar (indigenization of Sanskrit terms in Tamil Nadu) refers to a person who has realized the goal of a type of sadhana and become a perfected being. In Tamil Nadu, South India, where the siddha tradition is still practiced, special individuals are recognized as (and called) siddhars. Mahasiddhas (Sanskrit: maha—great, siddhas—achievers or adepts, who embody and cultivate siddhi) are eccentric yogis found in Tantric Hinduism and Tibetan Buddhism. A Siddha or adept is an individual who, through the practice of sadhana, attains the realization of siddhis or psychic and spiritual abilities and powers. It was the Mahasiddhas who instituted the practices that birthed the Inner Tantras. Their historical influence throughout the Indic and Himalayan region was vast and they reached mythic proportions, which is codified in their hagiography. The Mahasiddha are acknowledged as the founders of many Indian and Buddhist traditions and lineages. …evolved in North India in the early Medieval Period (3-13 cen. CE). Philosophically this movement was based on the insights revealed in the Mahayana Sutras and as systematized in the Madhyamaka and Chittamatrin schools of philosophy, but the methods of meditation and practice were radically different than anything seen in the monasteries. Dowman holds that the eighty-four Mahasiddha are spiritual "archetypes:"
The number eighty-four is a "whole" or "perfect" number. Thus, the eighty-four siddhas can be seen as archetypes representing the thousands of exemplars and adepts of the Tantric way. 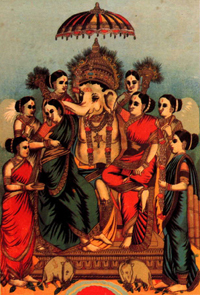 The siddhas were remarkable for the diversity of their family backgrounds and the dissimilarity of their social roles. They were found in every reach of the social structure: Kings and ministers, priests and yogins, poets and musicians, craftsmen and farmers, housewives and whores. The non-monastic Mahasiddha Dharma comprises: Artists, business people, healers, family people, politicians, nobility, prostitutes, and outcasts; the Mahasiddhas were a diverse group of people who were practical, committed, creative, and engaged with their world. As a collective, their spirituality may be viewed as key and essential to their lives; simple, in concert and accord with all aspects of their lived experience. The basic elements of the lives of the Mahasiddas included their diet, physical posture, career, relationships; indeed "ordinary" life and lived experience were held as the principal foundation and fodder for realization. As Siddhas, their main emphasis in spirituality and spiritual discipline was direct experience of the sacred and spiritual pragmatism. Mahasiddhas are a form of bodhisattva, meaning they are so compassionate they resolve to remain in samsara to help others. Mahasiddhas are often associated with historic persons, but, nonetheless, typically have magical powers (siddhi) which they achieve by the efficacy of their spiritual practice. …broke with the conventions of Buddhist monastic life of the time, and abandoning the monastery they practiced in the caves, the forests, and the country villages of Northern India. In complete contrast to the settled monastic establishment of their day, which concentrated the Buddhist intelligenzia [sic.] in a limited number of large monastic universities, they adopted the life-style of itinerant mendicants, much the wandering Sadhus of modern India. The Mahasiddha Tradition may be conceived and considered as a cohesive body due to their spiritual style which was distinctively non-sectarian, non-elitist, non-dual, non-elaborate, non-sexist, non-institutional, unconventional, unorthodox and non-renunciate. The Mahasiddha Tradition arose in dialogue with the dominant religious practices and institutions of the time, which often foregrounded practices and disciplines that were over-ritualized, politicized, exoticized, excluded women and whose lived meaning and application were largely inaccessible and opaque to non-monastic peoples. By convention there are 84 Mahasiddhas in both Hindu and Tibetan Buddhist traditions, with some overlap between the two lists. The number is congruent with the number of siddhi or occult powers held in the Dharmic Religions. In Tibetan Buddhist art they are often depicted together as a matched set in works such as thangka paintings where they may be used collectively as border decorations around a central figure. Each Mahasiddha has come to be known for certain characteristics and teachings, which facilitates their pedagogical use. One of the most beloved Mahasiddhas is Virupa, who may be taken as the patron saint of the Sakyapa sect and instituted the Lam Dre teachings. Virupa lived in ninth century India and was known for his great attainments. Some of the methods and practices of the Mahasiddha were codified in Buddhist scriptures known as Tantras. Traditionally, the ultimate source of these methods and practices is held to be the historical Buddha Shakyamuni, but often it is a transhistorical aspect of the Buddha (or deity Vajradhara or Samantabhadra) who reveals the Tantra in question directly to the Mahasiddha in a vision or whilst they dream or are in a trance. This form of the deity is known as a sambhogakaya manifestation. The sadhana of Dream Yoga as practiced in Dzogchen traditions such as the Kham, entered the Himalayan Tantric tradition from the Mahasiddha, Ngagpa, and Bonpo. Dream Yoga or "Milam" (T:rmi-lam; S:svapnadarśana), is one of the Six Yogas of Naropa. ↑ Vedabase, 11.15.32. Retrieved April 23, 2008. ↑ Keith Dowman, The Eighty-four Mahasiddhas and the Path of Tantra (SUNY, 1984). Dowman, Keith. 1984. The Eighty-four Mahasiddhas and the Path of Tantra. Reynolds, John Myrdhin. 2007. The Mahasiddha Tradition In Tibet. This page was last modified on 16 September 2015, at 20:54.